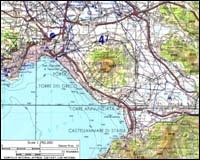 4203 ft (1281 m) . Vesuvius is easily the most famous volcano in the world, with a well-documented history of numerous explosive outbursts since the catastrophic eruption of 79 AD, which buried the cities of Pompeii and Herculaneum. 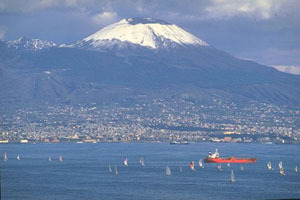 The volcano towers above the metropolis of Naples and its busy harbor, and future activity will certainly threaten the inhabitants of the region. 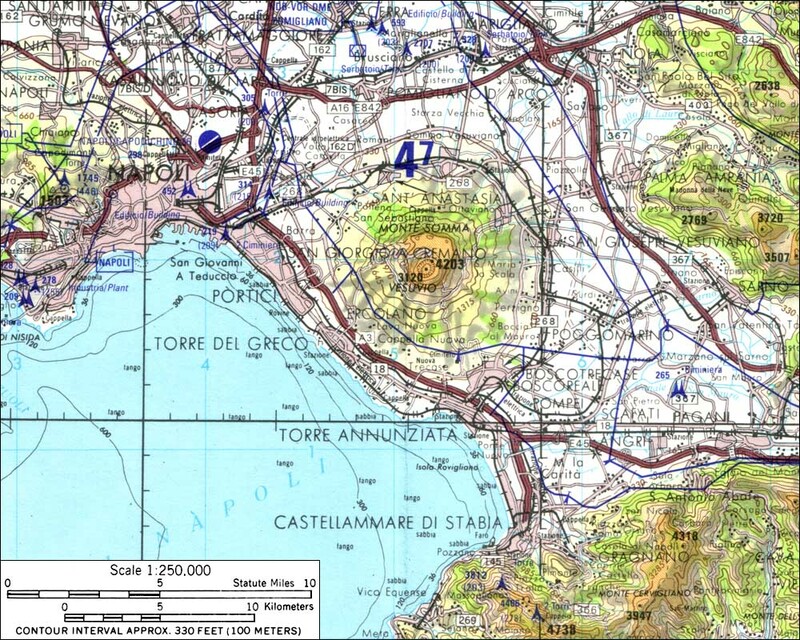 A volcanological observatory constantly monitors Vesuvius for any signs of increasing activity or imminent eruption. Thousands of tourists flock to it, making the quick and easy ascent to the crater rim from a parking lot at 3300 ft (1000 m) on its north side. 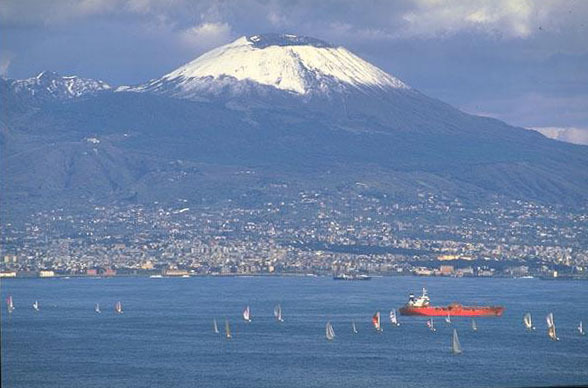 With its modest elevation and its location in sunny southern Italy, I'm not sure if Vesuvius ever receives much snow, but this photo shows that there is at least some hope of skiing on Vesuvius!